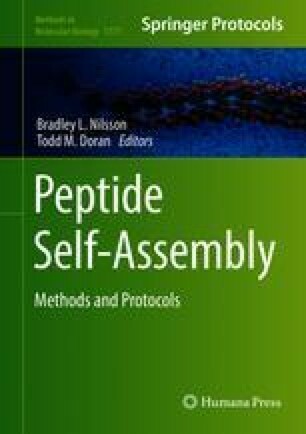 Molecular tweezers (MTs) are broad-spectrum inhibitors of abnormal protein self-assembly, which act by binding selectively to lysine and arginine residues. Through this unique mechanism of action, MTs inhibit formation of toxic oligomers and aggregates. Their efficacy and safety have been demonstrated in vitro, in cell culture, and in animal models. Here, we discuss the application of MTs in diverse in vitro and in vivo systems, the experimental details, the scope of their use, and the limitations of the approach. We also consider methods for administration of MTs in animal models to measure efficacy, pharmacokinetic, and pharmacodynamic parameters in proteinopathies. We are grateful for financial support from a UCLA Alzheimer’s Disease Research Center Pilot Award enabled through NIH/NIA P50AG016570, The UCLA Mary S. Easton Endowment, NIH/NIA R01AG050721, Team Parkinson/Parkinson Alliance, RGK Foundation grant 20143057, Michael J. Fox Foundation grant 10220, Cure Alzheimer’s Fund grant 20152631, CurePSP Foundation grant 600-6-15, and MSA Coalition Grant 20170367.